We do not know how other people perceive us. In the extremes, this can breed self-consciousness, or it can breed cockiness. Neither warrants much praise. Think about it. Looks, in the abstract sense, will make a significant impact on a person’s outlook in life, more than they would like to admit. If people truly perceive a person as looking great, then what harm is done? This all diverts itself to the misconception that looks are shallow. Ethics will teach us that beauty is only skin deep. All true, very true; but only to an extent. “Looking great” and being beautiful are two separate ideas, as beauty is largely subjective. However, looking great is a matter of culture and place. It can be concluded that, in our times, one will consider a man in a business suit to be affluent, or at least employed. But he does not have to be handsome. This analogy of the business suit points out an undeniable human competent: the instant interpretation of our surroundings. This is neither shallow nor avoidable. This is the way of the physical universe. There exist general standards of looking great. Since the term lends itself some vagueness, “looking great” entails being confident; confidence, unpretentious and undiluted, entails being comfortable in your surroundings. The following tips may be of use for the person seeking confidence, not self-consciousness or cockiness. Tongue scrapers. Yes, this little device will prove to be invaluable. 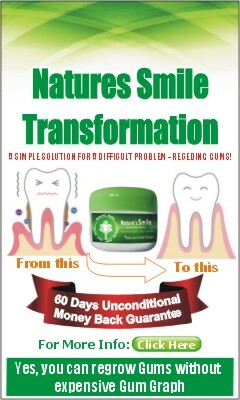 It combats bad breath in the best way possible: it scrapes the surface of the tongue deep at the opening of the throat. Nothing kills confidence worse than bad breath, as it sneaks up without warning, even after a thorough brushing; and pearly white teeth aren’t worth two cents if nobody wants to be around your open mouth. The tongue—not the teeth or gums—is a hotspot for awful breath. And an odorous breath is more tied to the common sense of good taste than it is to any one culture. Follow this principle: poop smells like poop, no matter where you’re from. Some cultures may seem more tolerant toward the principle, but surly they must not prefer it. Baggy clothes fall into the half-subjective, half-truth category of looking great. The primary reason why they do very little to accentuate the wearer stems from their design. They sag and distort the wearer. Unless a cultural statement, baggy clothes just plain do not work. This holds true for make-up as well: if it does not accentuate natural features, then it serves little purpose. Ask yourself what is more impressive, natural features, or artificial ones? Yes, artificial looks are acceptable and commonplace, but doubtless does it ever trump the natural. This leads to our conclusion. Accentuate and compliment your natural features. The principle makes perfect sense, especially if you wish to display confidence in yourself. Hygiene is a universal custom, and the tongue scraper served as an analogy. But the latter discussion in this article highlights a very important touchstone in looking great, which is to look good and feel good according to what is “You.” Do not overdo it. Because in a universe comprised of interpretation, there is no greater mis-interpretation than in misinterpreting your very sense of self. Be happy with who you are, and show it in best possible way.